APM Music (a joint venture of EMI Music Publishing and Universal Music Publishing) is the largest production music library in North America offering the most comprehensive collection of high-quality music for media. As a partner of CCC, APM Music provides more than 500,000 tracks available for licensing through the RightFind® Music search and project management website designed to help customers find, download and manage music for use in presentations and video. Find out more about APM Music at www.apmmusic.com. The Association of Corporate Counsel is the world’s largest organization serving the professional and business interests of attorneys in the legal departments of corporations, associations and other private-sector organizations. As a referral partner, ACC works with CCC to offer copyright-related education and discounts on CCC copyright solutions to ACC members. The British Library is the national library of the United Kingdom and serves businesses, researchers, academics and students, in the UK and world-wide. CCC has partnered with the British Library to provide our customers with access to over 150 million items from more than 293,000 journal titles alongside a vast range of book chapters, conference proceedings, and other published research. The British Library provides subject strength in the areas of life-sciences, engineering, food and agriculture, economics, environment, law, and education. FIZ Karlsruhe – Leibniz Institute for Information Infrastructure (FIZ) is one of the leading providers of research and patent information integrating content, technology, and services. FIZ’s AutoDoc service is a fast, convenient solution for automatic full text delivery. FIZ has integrated FIZ AutoDoc with RightFind to provide rights advisory and document delivery services to their customers. KnowledgeWire is a leading provider of copyright permission and consulting, reprints, medical writing and translations to advertising agencies, pharmaceutical companies and medical societies in Japan. KnowledgeWire is a reseller of rights made available through CCC’s RightsLink solution. Linguamatics, an IQVIA company, delivers market-leading NLP-based AI solutions for high-value knowledge discovery and decision support from text. It empowers customers to speed up drug development and improve patient outcomes by breaking down data silos, boosting innovation, enhancing quality, and reducing risk and complexity. Linguamatics NLP platform is used by top commercial, academic and government organizations, including 19 of the top 20 global pharmaceutical companies, the US Food and Drug Administration (FDA) and leading US healthcare organizations. Linguamatics NLP platform can be used to mine a wide variety of text resources, such as scientific literature, patents, Electronic Health Records (EHRs), clinical trials data, news feeds, social media and proprietary content. Linguamatics is an integration and referral partner for CCC’s RightFind® XML for Mining solution. LM Information Delivery provides subscription and information management resources to corporate, government, public, academic and medical customers. We offer subscription management, eresource access and management services, books and ebooks, databases and other related information management solutions. We are a referral partner for CCC’s Annual Copyright License for Business and Academia, Get It Now and the RightFind® product suite. Find out more about LM Information¹s US operations at www.lminfo.us. Established by studio executives more than 25 years ago, Motion Picture Licensing Corporation (MPLC) now offers public performance licenses from more than 1,000 major movie and television producers to companies around the world. CCC’s licensing consultants offer the CCC Motion Picture License, an annual license available to companies with 100 employees or more. QUOSA Inc. supports literature management workflows and archiving, including full-text articles and patents. With a large subscriber base of leading pharmaceutical, biotechnology and life-science companies, QUOSA has integrated CCC rights licensing and document delivery services making it easy to access and share content internally in a copyright-compliant manner. Reprints Desk improves how journal articles and clinical reprints are accessed, procured, and legally used in evidence-based promotions and research. Reprints Desk has integrated their solutions with CCC’s rights licensing services to make it easier for their users to share content in copyright-compliant ways. SciBite offers a complete semantic services platform. It can be used directly as a data analytics solution by end users or via a series of micro-services built to transform existing IT infrastructures into more scientifically aware systems. SciBite’s technology rapidly scans scientific text and identifies the key concepts stated, such as drugs, proteins, companies, targets, phenotypes, clinical procedures and many more. In doing so, unstructured text is transformed into ontology-based indexed data. SciBite’s semantic software suite includes a number of leading titles such as TERMite, VOCabs, TExpress, DOCstore and SCInav. CCC and SciBite have established a unique partnership to offer new capabilities with RightFind®, including RightFind® XML for Mining, and Ixxus professional services. CCC will work with SciBite to further support customers’ needs in text analytics and semantic search. Learn more about SciBite at www.scibite.com. The Association of Learned and Professional Society Publishers (ALPSP) is the largest trade association for scholarly and professional publishers. As a referral partner with CCC, ALPSP works with CCC to offer copyright-related education and discounts on CCC’s RightsLink service to ALPSP members. 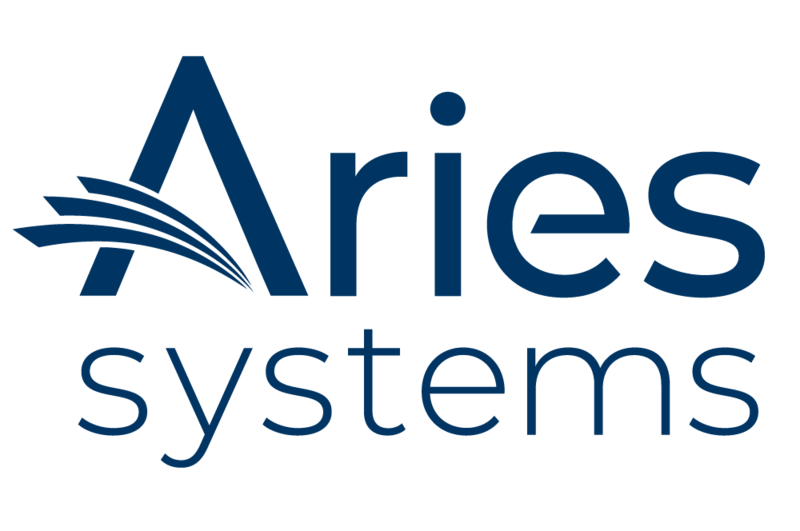 Founded in 1986, Aries Systems transforms the way scholarly publishers bring high-value content to the world. The company’s innovative and forward-looking workflow solutions manage the complexities of modern print and electronic publishing—from submission, to editorial management and peer review, to production tracking and publishing channel distribution. Aries’ Editorial Manager workflow solution is seamlessly integrated with CCC’s RightsLink for Open Access providing a seamless author workflow. eJournalPress is focused on providing web-based technology solutions for the scholarly publishing community. The company was initially founded as a software consulting service assisting companies in designing, programming, and deploying software and mission critical systems. In 1999 eJournalPress utilized this skill set to work with journals and publishers creating a new generation of web-based software tools (EJPress) to support manuscript submission, tracking, and peer review. After the successful industry adoption of the EJPress system, the company launched its Production Tracking and Billing Payment Systems for customers who want a flexible, robust production tracking/content management system consistent with many of the advantages of our peer review system. Fonto’s structured content authoring solutions help occasional authors, editors and reviewers to create, edit, review and publish ‘intelligent content’. Fonto’s flagship product, FontoXML Editor, is an intuitive, web-based XML editor that can be used without any XML knowledge or training. XML content is presented in a WYSIWYG-like way, and cursor-and keyboard behavior closely resembles that in general word-processing tools. However, “under the hood,” authors are directly editing XML, which means that the documents they create or edit are always compliant with the XML schema. With 1,395 journals and over 6 million articles from more than 140 scholarly publishers, HighWire Press, a division of the Stanford University Libraries, hosts the largest repository of free, full-text life science articles in the world. HighWire has integrated CCC’s rights licensing services into their platform to allow publishers the ability to offer customers instant permission to reuse content right within their workflow. ITHAKA helps the academic community use digital technologies to preserve the scholarly record and to advance research and teaching in sustainable ways. Its JSTOR academic content service is used by millions for research, teaching and learning. Publisher content on JSTOR includes embedded CCC RightsLink Basic links back to copyright.com, enabling researchers and teachers to secure permissions quickly and easily. Project MUSE is a leading provider of digital humanities and social sciences content; its electronic journal collections have supported a wide array of research needs at academic, public, special, and school libraries worldwide. Through integration of CCC’s copyright services into the Project MUSE platform, publishers can offer instant permission to reuse content to improve the online experience, simplify publishers’ permissions processes and increase revenue. Alto Imaging Technologies is a provider of advanced imaging, digital content management and publishing solutions for the education, legal, medical, government, insurance and digital publishing markets. Alto Digital Publisher (ADP) is used by institutions such as MIT and Cornell University to meet rigorous coursepack production requirements. ADP leverages CCC’s rights licensing integration to enable professors to search, price and obtain copyright permission without leaving ADP. Atlas Systems, developer of OCLC’s ILLiad system, has applied its experience in library automation to create the Ares Electronic Reserves System. Designed to quickly and efficiently automate library reserve services for faculty, students and reserve staff, Ares has been integrated with CCC’s rights licensing services to allow users to get permissions without leaving the Ares environment. Cognella® is redefining academic publishing by creating teacher-driven, student-centric higher education course materials in print and digital formats under three imprints: Cognella® Academic Publishing, University Readers®, and Cognella® Active Learning. Cognella also publishes engaging nonfiction titles featuring modern perspectives as Cognella® Press. Docutek, a SirsiDynix Company, is a leader in e-learning collaboration and communications solutions for K-12, higher education and libraries. ERes leverages CCC’s rights licensing integration to enable professors to search, price and obtain copyright permission without leaving the ERes system. The eReserve Plus system significantly reduces the time spent on preparing reading lists, and collating and distributing copyright materials for library and academic staff. eReserve Plus is a reading list management and copyright reporting repository software that streamlines the selection, review and reporting of educational materials in schools, colleges and universities. This powerful, automated system, improves efficiency in all departments across academic institutions. eReserve Plus has been developed with the aim of empowering academics and lecturers to easily initiate and manage requests for readings while making copyright easy! Ex Libris is a leading provider of comprehensive automation solutions for academic libraries. SFX® from Ex Libris is the most widely used OpenURL link resolver, with a customer base of over 1,800 institutions in more than 50 countries. SFX is integrated tightly with CCC’s Get It Now interlibrary loan content delivery service. LAD is a full-service course pack provider with the ability to deliver custom content in print or digital format to traditional colleges and universities as well as to the career college market. LAD leverages CCC’s rights licensing integration to enable faculty to search, price and obtain copyright permission without leaving the LAD environment. Maruzen was founded in 1869 as the Japan’s first business corporation. For a long time, the company has contributed to the development of academic foundation in Japan by delivering academic materials to research and educational institutions including universities Japan-wide. MARUZEN-YUSHODO is a referral partner for CCC’s Get It Now in Japan. A nonprofit membership computer library service and research organization offers ILLiad Resource Sharing Management Software, a single interface for more efficient interlibrary loan. With the help of Atlas Systems, ILLiad is integrated with Get It Now, CCC’s interlibrary loan content delivery service. Additionally, CCC provides an automated holdings service to help streamline the e-resource management process for OCLC’s library patrons. ORYX Solutions DMCC is an e-learning solutions provider that represents a select number of international publishers and prestigious organizations from the Middle East, Europe, and North America. A referral partner for Get It Now, CCC’s content delivery service for academic institutions, ORYX delivers unique solutions to higher education institutions and libraries across the Middle East. Serials Solutions®, a member of the ProQuest family of companies, is the global leader in essential e-resource management solutions. Its 360Link OpenURL Link Resolver, which connects patrons to essential full text resources, is integrated with CCC’s Get It Now interlibrary loan content delivery service. Ex Libris Leganto makes it easy and engaging to create, access, and manage course resource lists. Instructors can build, maintain, and share resource lists that include all material types, librarians can provide resources more efficiently and scale up to support more courses, and students can access all course materials in one place and from any device. Leganto tightly integrates with Ex Libris Alma® as well as learning management systems, library discovery services, mobile apps, citation tools, and other campus systems. Having Leganto in your institution will reduce the cost of course materials for students and schools by maximizing the use of library-owned resources and applying a pay-per-use model to pay only for content that is actually used. Study.Net provides a web-based learning resource designed to accelerate and enhance the educational experience for students and professors around the world. A referral partner for the Annual Copyright License for Academia, Study.Net leverages CCC’s rights licensing integration to enable professors to search, price and obtain copyright permission without leaving Study.Net. Xanedu Publishing, Inc. is the number one faculty-preferred course pack and custom textbooks provider servicing thousands of instructors at hundreds of schools across the United States, producing course packs on both traditional and advanced mobile platforms. XanEdu has integrated CCC’s rights licensing services within its software to provide course packs to academic customers that are 100% copyright compliant.